Salt Free Dyes are eco -friendly dyes that also come with superior fastness properties. Exhibiting excellent dye exhaustion, Salt Free Dyes also feature improved dye fixation properties and are produced using membrane technology. The Salt Free Dyes include IRECT BLUE 199 with CAS No 12222-04-7; DIRECT BLUE 86 -LIQUID/POWDER * with CAS No 1330-39-8; DIRECT BLUE 71 with CAS No 4399-55-7; DIRECT BLACK 22 with CAS No 2586-57-4; DIRECT BLACK 168 with CAS No 3818-60-8; DIRECT RED 80 with CAS No 2610.10.8 and others. 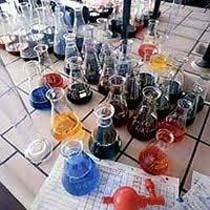 Salt Free Dyes are free from salt and other impurities that improve product’s solubility.